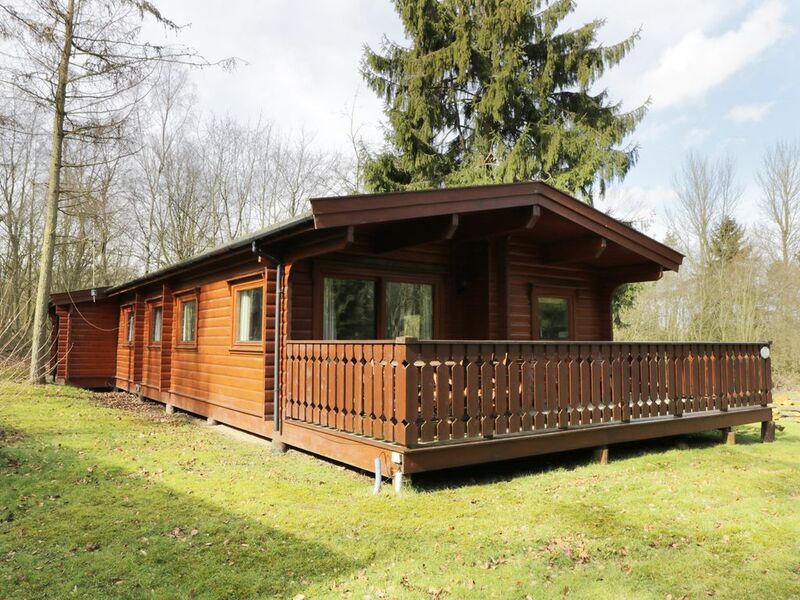 This lodge is located in the village of Kenwick Woods near Louth, and can sleep six people in three bedrooms. Red Kite Lodge is a characterful lodge situated on Kenwick Park Estate in Lincolnshire. Hosting three bedrooms; two double (one with en-suite), and a twin, along with a bathroom, this property can sleep up to six people. Inside you will also find an open-plan sitting, kitchen and dining area. To the outside is ample parking for two cars, and a decked area with furniture. Resting in a pleasant location with attractions close by, Red Kite Lodge is a wonderful retreat in a leisurely part of England. Amenities: Electric heaters. Electric oven and hob, microwave, fridge/freezer, TV with Freeview, WiFi, selection of books, games and DVDs. Fuel and power inc. in rent. Bed linen and towels inc. in rent. Ample parking for 2 cars. Decked balcony with furniture. Two well-behaved pets welcome. Sorry, no smoking. Shop and pub 2 miles. Note: The owner provides passes for the local leisure centre which is approx 2 miles away with an indoor swimming pool. Town: With a championship 18 hole golf course adjacent to the tranquil lodge site, this is an ideal spot for a restful holiday. If you can tear yourself away from the woods you will discover a whole host of attractions and days out. The idyllic market town of Louth is three miles away; known as The Capital of the Wolds. A short drive away could see you spending time on one of the East Coast's wonderful sandy beaches. All ground floor. Three bedrooms: 1 x double with en-suite shower, basin and WC, 1 x double, 1 x twin. Bathroom with bath, shower over, basin and WC. Open-plan sitting, kitchen and dining area. Electric heaters. Electric oven and hob, microwave, fridge/freezer, TV with Freeview, WiFi, selection of books, games and DVDs. Fuel and power inc. in rent. Bed linen and towels inc. in rent. Ample parking for 2 cars. Decked balcony with furniture. Two well-behaved pets welcome. Sorry, no smoking. Shop and pub 2 miles. Note: The owner provides passes for the local leisure centre which is approx 2 miles away with an indoor swimming pool.